Location: From the intersection of County K & County N in Star Lake, continue west on Hwy K to Statehouse Road. Turn south on Statehouse Road. When you get to the entrance of the West Star Campground, continue straight ahead. 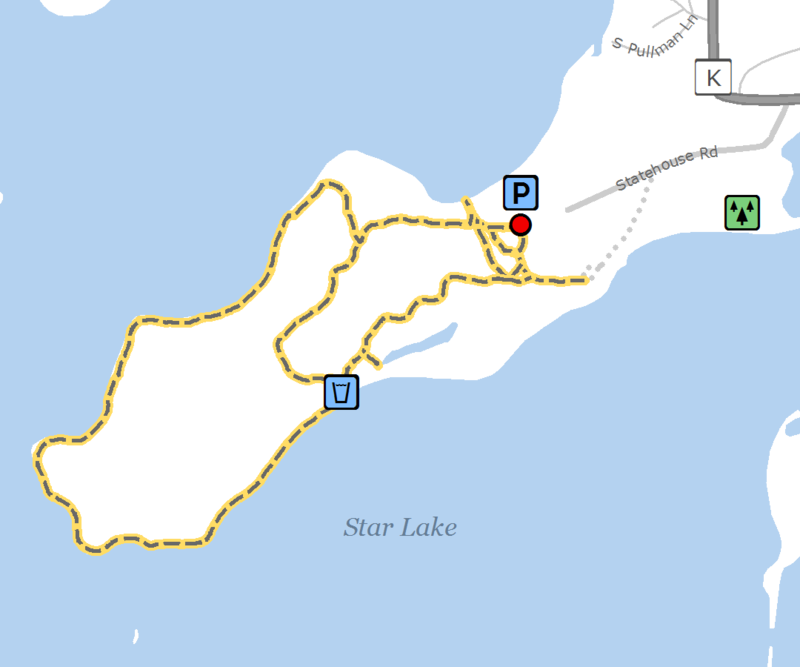 The Star Lake Nature Trail, which requires a State Trail Pass, has interpretive signs along the way with part of the trail on a peninsula that juts out into Star Lake. This trail has a water pump and a bench halfway around the nature loop. Bicycles and pets are not allowed on the trail.